CLOSEOUTS . 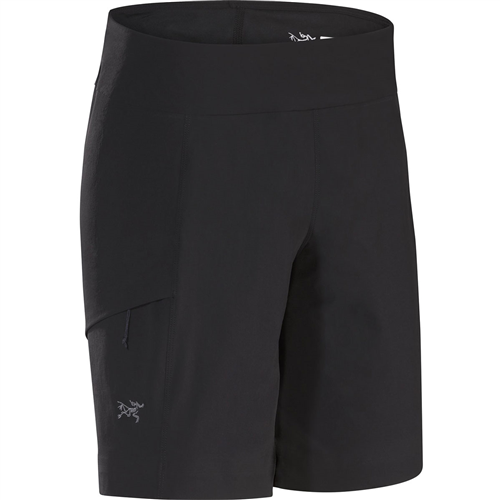 At the pinnacle of comfort and versatility, you'll find Gramicci's Suva roll-up shorts. Not only do they roll up and secure with a snap, but they feature a Natural Comfort Technology (NCT) weave and two-way stretch Expanse Weave for go-anywhere ability. 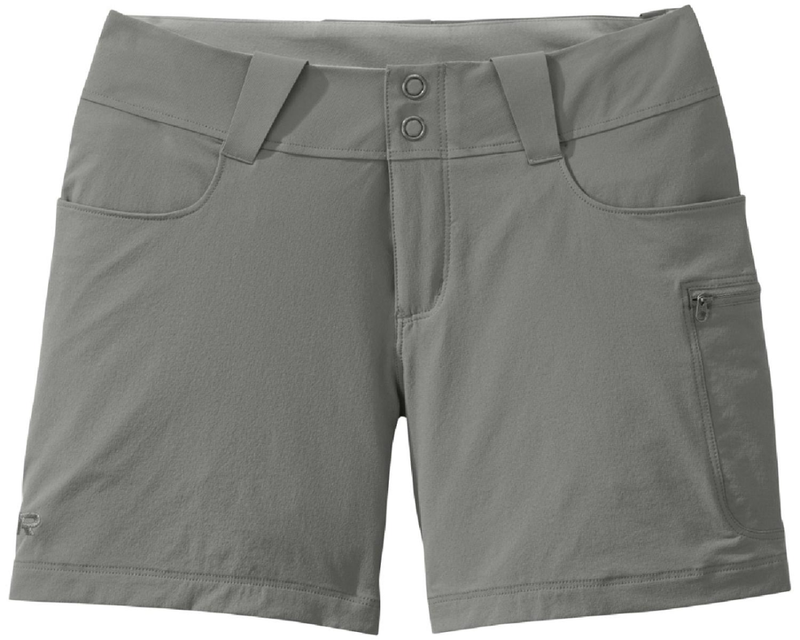 Shorts roll up and secure with a snap hidden inside each leg Bastian Garment Dyed for a weathered look, and Raspine Finished for a soft hand Front zip and button closure Twill tape drawstring waist and side trim Slant hand pockets Front coin pocket with button-through flap Back button-through flap pockets Just below waist Inseam: 17" (14" snapped up) (based on size 28) Fabric: 97% cotton, 3% spandex Care: Machine wash/dry Relaxed Fit Made in India Available Colors: GREY, STONE HAZE. 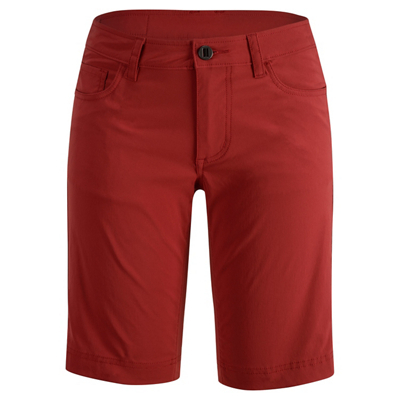 Sizes: 24, 26, 27, 28, 29, 30, 31, 33. 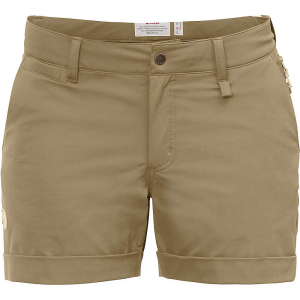 Gramicci Women's Suva Shorts feature NCT Weave (Natural Comfort Technology) canvas fabric built for HBC (Hiking-Biking-Climbing). EXPANSE WEAVE for two-way ease of movement stretch. 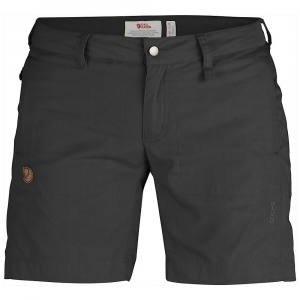 Great travel fabric with its lightweight, breathable, and durable properties.Constructed of 97% cotton, 3% Lycra spandex.Bastian Garment Dyed for the Gramicci worn and weathered look.Raspine Finished for a soft hand. Front stasher pocket. "Kool-Off" roll-up legs.Relaxed mid rise fit: A relaxed leg but with a cute fitted shape at the waist and through the hips.Inseam 13". 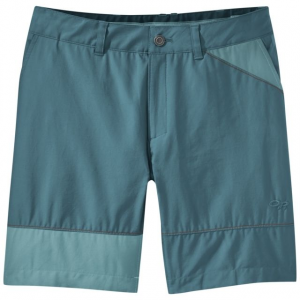 The Suva Roll-Up Short has been discontinued. 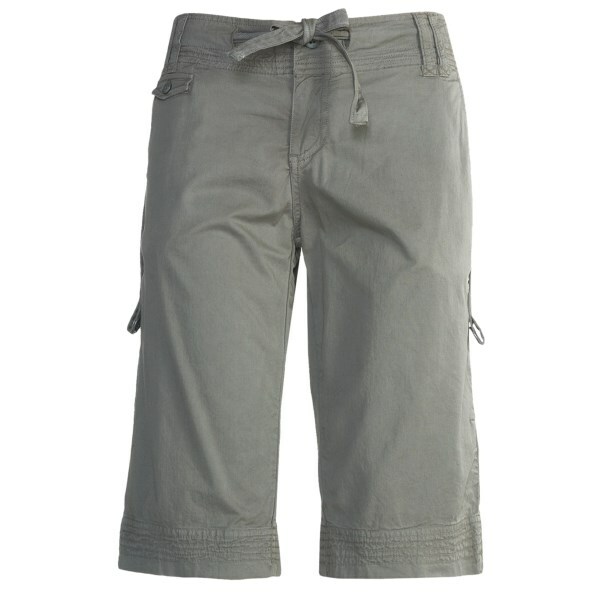 The Gramicci Suva Roll-Up Short is not available from the stores we monitor. It was last seen April 5, 2011	at Sierra.